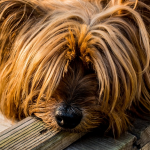 Does your dog have an unusual appetite for stool? 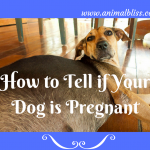 I had a reader ask me, “Why does my dog eat poop?” It’s not a pleasant thought. The habit of dogs eating poop is known as coprophagy (derived from the Greek κόπρος copros, “feces” and φαγεῖν phagein, “to eat”. If you’ve been around puppies at all, you probably noticed the mother dog eating her pups’ stools. This is not done for pleasure, but rather to keep the puppies and the environment clean, a primal reaction to keep predators away that might drawn by the scent. The mom will do this until the puppies are weaned and eating solid food. The thing is, the little ones learn by her actions, and may eat their poop too, thinking that’s what they’re supposed to do. This may develop into a habit right into maturity. Once the puppy is getting a well-balanced and nutrient-rich diet, it should stop this poop-eating behavior. If it has not, there may be some issues involved. There are several of the reasons that are typically associated with coprophagy. Poor Digestion – Visit your vet to find out if there are underlying problems, and what you can do to help make it better. 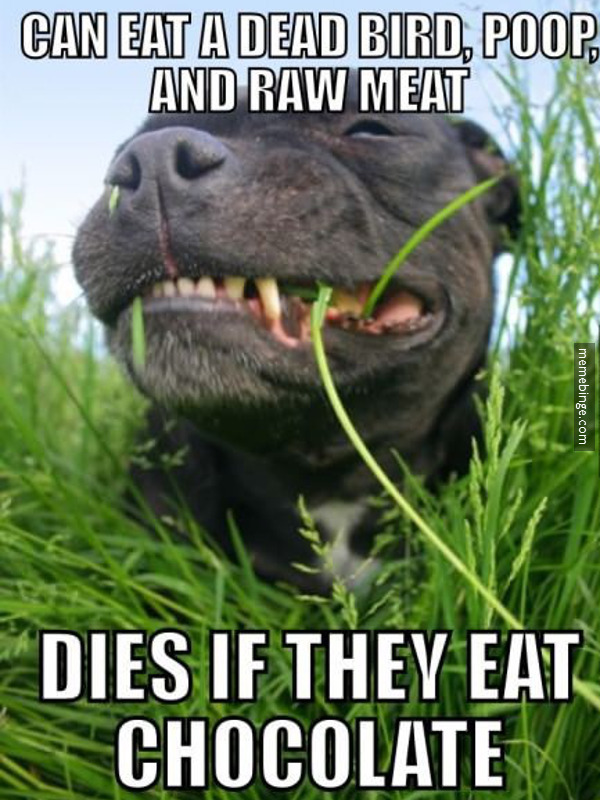 Low Quality Food – Some low quality pet foods do not have good digestible nutrients for your dog to digest. If this is the case, then the food coming out pretty much tastes like the food that went in. It makes no different to your dog. Switch to a higher quality food. Stress – Sometimes stress causes dogs (and humans too) to do strange things. If your dog is eating poop because it is stressed, don’t make matters worse by going bonkers when you see him eating stool. 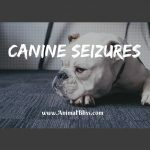 Talk to your vet or a dog trainer for ideas on how to un-train your dog from doing this. Parasites and Worms – These nasty things can leach nutrients from your dog, causing him to be hungrier than normal. See your vet. I believe this is a very normal and natural behavior in some dogs, fortunately for myself i haven’t yet had the pleasure of dealing with a dog that displays Coprophagia. I think as long as we try and prevent it as much as we can then it shouldn’t cause many problems. 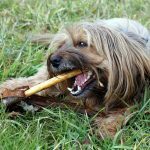 I believe their are a few health risks that come with it though..
chris recently posted…Coprophagia Why do Dogs eat poop? Thank you for visiting my blog today, Chris. I just read the article you wrote about this topic too, and found it very interesting. I think nutrition is the first thing we should look at. And yes, I’m sure there are health risks involved with eating poop. Gotta love our dogs!! Thanks for stopping by and leaving a comment too. Thank you for clarifying this out. We had a dog a few years ago that eat poop. I’m glad humans don’t eat poop. At least, I hope they don’t! Thanks for taking the time to read my post, Manu. Interesting post, Jeanne! I was researching just this subject over a year ago – we rescued our puppy – Tibetan Terrier – from his death sentence – but before that he had lived on the streets for awhile and now he had a happy home with a couple of new puppy friends – didn’t read that stress was a possibility – but it so makes sense – thank you 🙂 Oh by the way Coney, is now over 3 years old and no more eating of poopy! Whew! Donna L. Ward recently posted…Want To Know How To Get Pinterest Traffic? Aww, thank you so much for rescuing Coney. These past 3 years have been the happiest years of his life … so far. Many more to come, I believe. I’m glad he doesn’t eat poop anymore. 🙂 Thanks for commenting, Donna. -This is pretty disgusting, isn’t it? I always found an interesting post on your site. I like all the Dogs breeds and also i have three dogs at home. 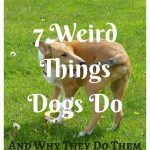 Thanks for suggesting that why dog eat poops.Please keep posting such kind of post. I’ve often wondered about this! Thanks, Jon. I’m glad you enjoyed my post. I’m also glad you stopped by my blog! It’s been awhile … Peace, grandpa.